and power cut emergency lighting, fishing, Outdoor lighting at night. 1.Please fully charge the solar Led Lantern when you use it the first time. 2.We offer 30 days refund and 1 year warranty to all our products, please feel free to contact us if you have any issue with our products, we resolve your problem within 24-hour timeframe. 【Portable】This camping Lantern is light-weight and designed per human hand shape, easy to hold and storage. 【High brightness】The Portable Led Lantern is 13 LEDs 120lm which can bring you high brightness when outside camping backpacking fishing chicken coop or emergency bed reading. 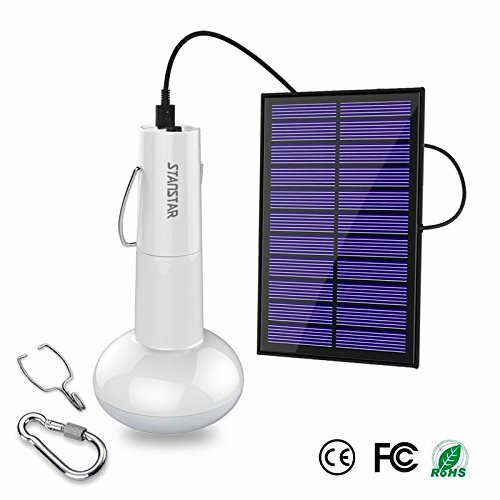 【Energy-saving and Safe】The rechargeable LED Camping Lantern has 1200mAH 18650 Lithium battery to ensure 9-10 hours working after fully charging. CE, RoHs, FCC and PSE certificated, Safe to use worldwide. If you have any questions about this product by Stanstar, contact us by completing and submitting the form below. If you are looking for a specif part number, please include it with your message.